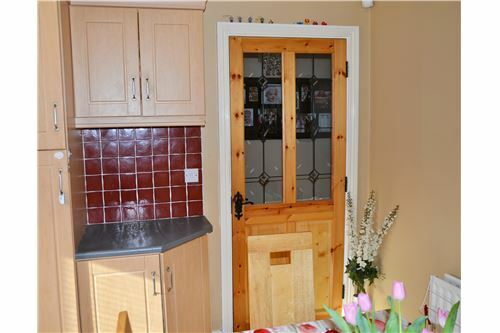 RE/MAX present to market a superb 3/4 bedroom terraced property located at 84 Sruthan Mhuirlinne, Ballybane, Galway. 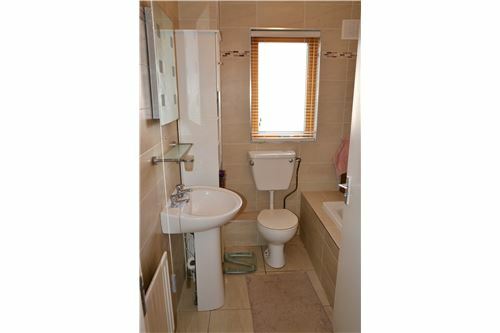 The property extends to c. 1,219 sq/ ft. spread over 3 floors and presented in excellent condition. 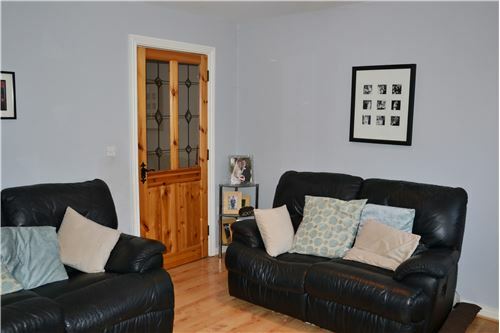 Ground floor accommodation is comprised of an entrance hall, living room, kitchen/dining room and W.C. Proceeding to the first floor is a landing, 2 bedrooms and main bathroom. 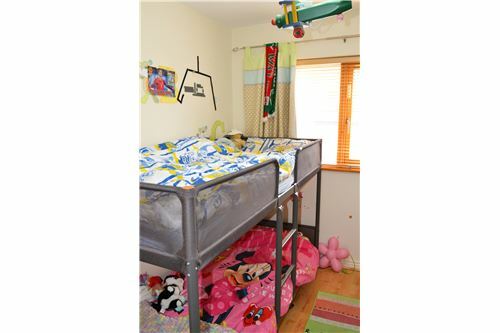 The second floor is comprised of the third bedroom and a playroom/converted attic which could be used as an additional bedroom. 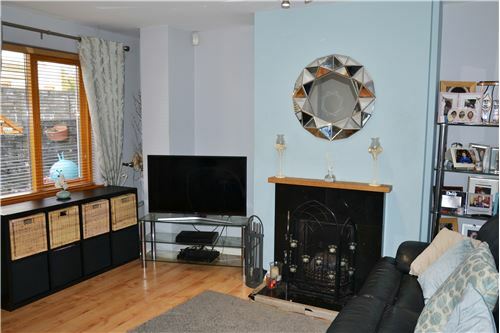 The property is certified with an impressive C1 BER Certificate heated by Gas Fired Central Heating and a solid fuel fireplace in the living room. Double glazed windows feature throughout. 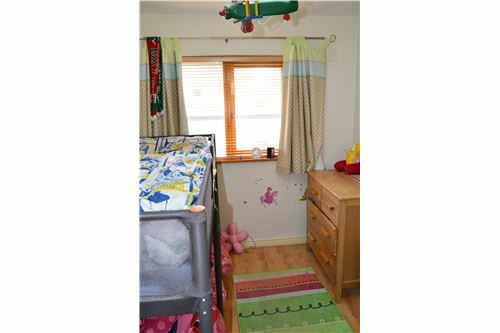 The front of the property offers 2 parking spaces and a large well maintained green area with playground. It is situated next to Merlin Woods and overlooks Merlin Castle. 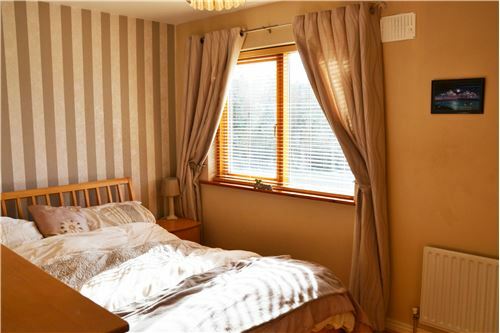 The property is in move in condition and located in a wonderful, family friendly area beside array of amenities including walking distance to Gala and Costcutter shops and Ballybane Library. It is an 8 minute drive to Galway City Centre and is in close proximity to stops for the 401 Bus Éireann city buses. Sruthan Mhuirlinne is located close to GMIT, Ballybane Industrial Estate, Medtronic, Bon Secours and Merlin Park Hospitals and Holy Trinity National School. 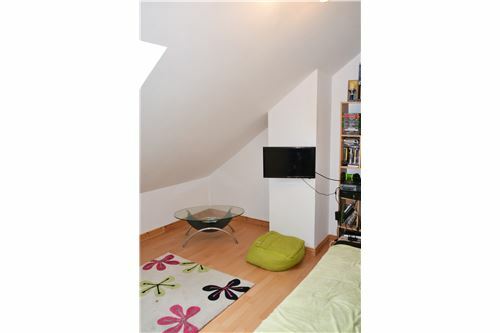 - Extends to c. 1,219 sq. ft. / 113.27 sq. 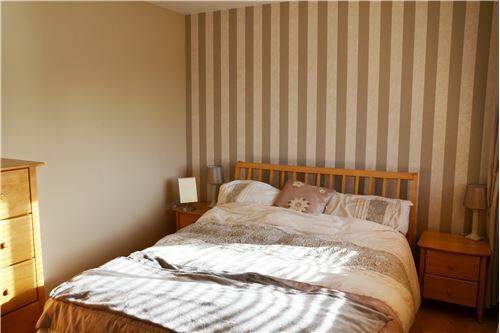 m.
- Family friendly atmosphere and walking distance to amenites. - 8 minutes from Galway City. - Serviced by the 401 Bus Eireann City buses. - Access to the M6, M17 & M18 Motorways is 5 minutes away. - Ideal family home or investment property. 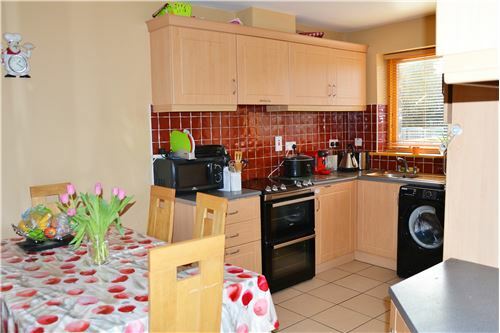 - Close to GMIT, Ballybane Industrial Estate, Bon Secours and Merlin Park Hospitals and Holy Trinty National School. 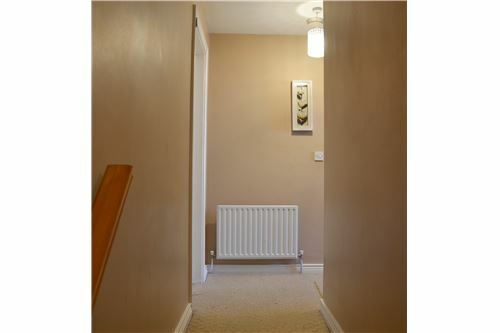 - Close to Mervue United Pitch, St. James GAA, Mervue Health Centre, St. Columba’s Credit Union, Wellpark Retail & Leisure Centre and Ballybrit Business Park. 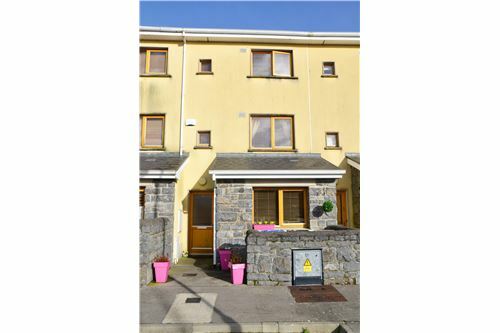 RE/MAX present to market a superb 3/4 bedroom terraced property located at 84 Sruthan Mhuirlinne, Ballybane, Galway. 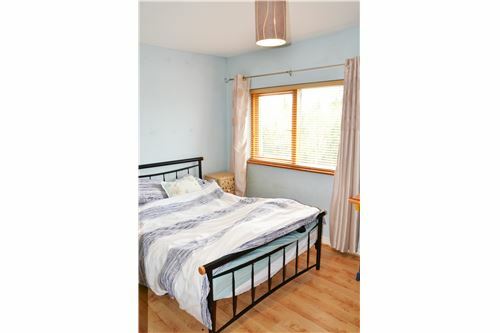 The property extends to c. 1,219 sq/ ft. spread over 3 floors and presented in excellent condition. 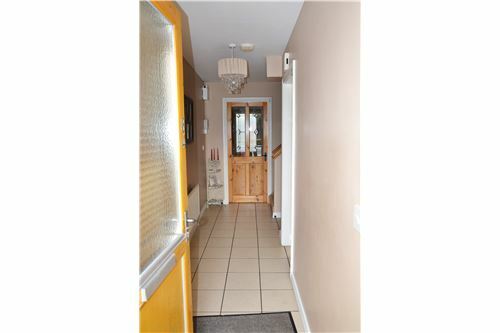 Ground floor accommodation is comprised of an entrance hall, living room, kitchen/dining room and W.C. Proceeding to the first floor is a landing, 2 bedrooms and main bathroom. 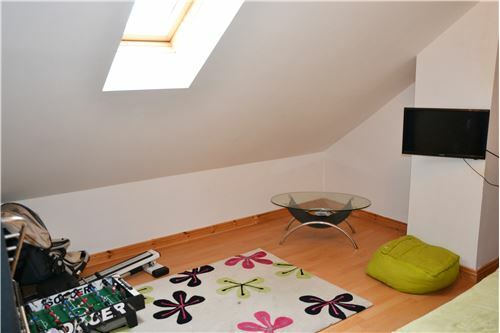 The second floor is comprised of the third bedroom and a playroom/converted attic which could be used as an additional bedroom. 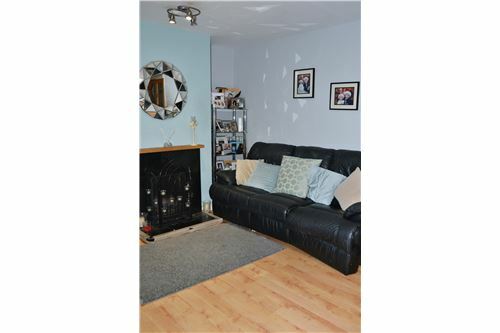 The property is certified with an impressive C1 BER Certificate heated by Gas Fired Central Heating and a solid fuel fireplace in the living room. Double glazed windows feature throughout. The front of the property offers 2 parking spaces and a large well maintained green area with playground. It is situated next to Merlin Woods and overlooks Merlin Castle. 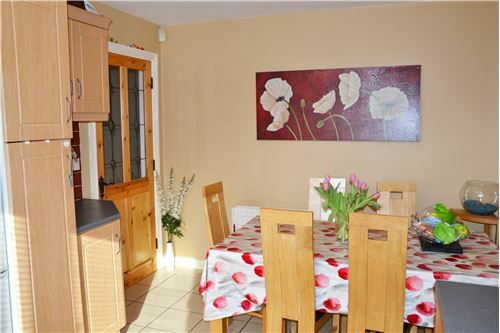 The property is in move in condition and located in a wonderful, family friendly area beside array of amenities including walking distance to Gala and Costcutter shops and Ballybane Library. It is an 8 minute drive to Galway City Centre and is in close proximity to stops for the 401 Bus Éireann city buses. Sruthan Mhuirlinne is located close to GMIT, Ballybane Industrial Estate, Medtronic, Bon Secours and Merlin Park Hospitals and Holy Trinity National School. 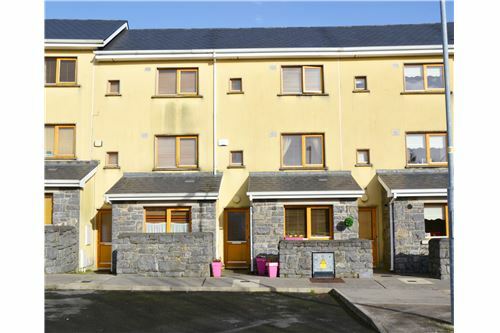 Contact Martin Healy of RE/MAX on 091 330 300 INFO & FEATURES: - 3/4 bedroom terraced property - Attic is converted which could be used as additional bedroom - Extends to c. 1,219 sq. ft. / 113.27 sq. m. - Presented in excellent condition - Overlooks large well-maintained green area with playground - Situated beside Merlin Woods and views over Merlin Castle - C1 BER Certificate - Gas Fired Central Heating - Solid fuel feature fireplace in living room - Double glazed windows throughout - Property fitted for alarm - 1x downstairs W.C. & 1x main bathroom - 2 parking spaces to front - Family friendly atmosphere and walking distance to amenites. - 8 minutes from Galway City. - Serviced by the 401 Bus Eireann City buses. - Access to the M6, M17 & M18 Motorways is 5 minutes away. - Ideal family home or investment property. 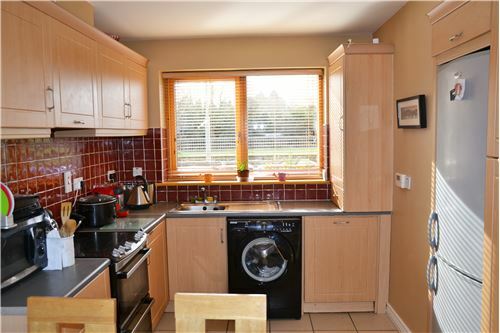 - Close to GMIT, Ballybane Industrial Estate, Bon Secours and Merlin Park Hospitals and Holy Trinty National School. 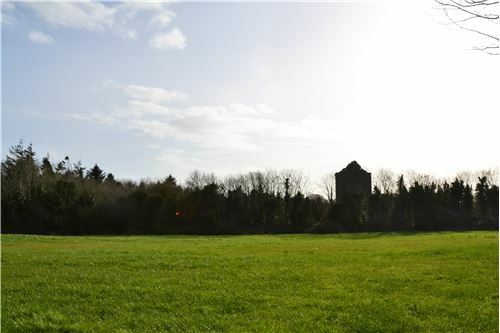 - Close to Mervue United Pitch, St. James GAA, Mervue Health Centre, St. Columba’s Credit Union, Wellpark Retail & Leisure Centre and Ballybrit Business Park. ACCOMMODATION: Ground Floor Entrance Hall: 5.12m x 1.19m Living Room: 3.97m x 4.54m Kitchen/Dining Room: 4.57m x 3m W.C.: 1.65m x 2.74m First Floor Landing Bedroom 1: 2.93m x 4.38m Bedroom 2: 3.32m x 2.48m Main Bathroom: 1.89m x 2.08m Second Floor Bedroom 3: 2.93m x 4.46m Converted Attic/Bedroom 4: 3.26m x 4.47m NOTE: These particulars are not to be considered a formal offer. They are for information only and give a general idea of the property. They are not to be taken as forming any part of a resulting contract, nor to be relied upon as statements or representations of fact. Whilst every care is taken in their preparation, neither RE/MAX Property Experts nor the vendor accept any liability as to their accuracy. Intending purchasers must satisfy themselves by personal inspection or otherwise as to the correctness of these particulars. 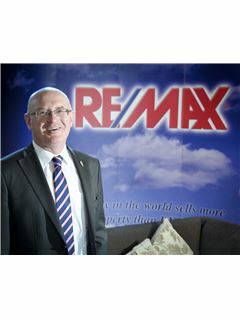 No person in the employment of RE/MAX Property Experts has any authority to make or give any representation or warranty whatever in relation to this property.